It was great to discover recently the location of one of my personal favourite paintings, “Strawberry Mousse”. 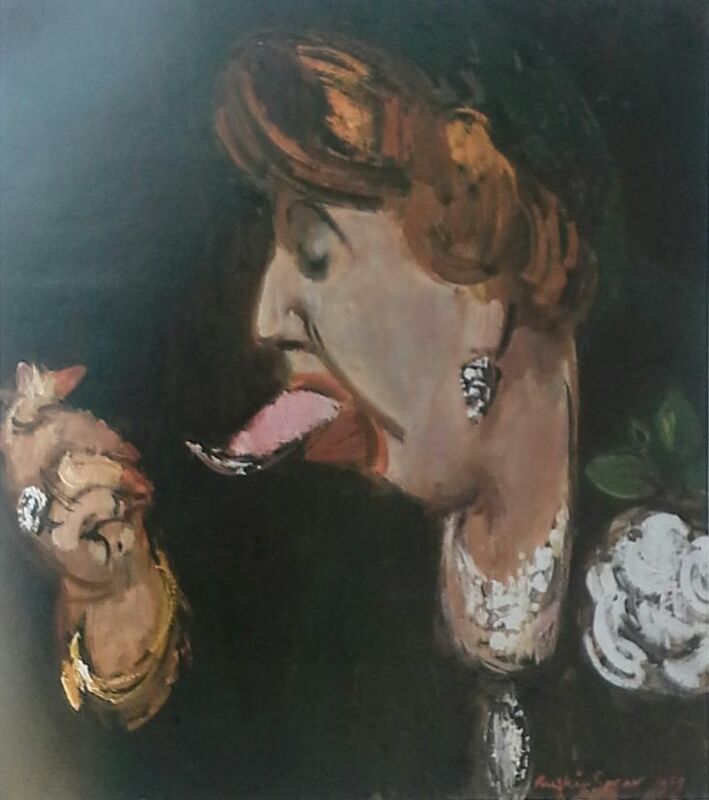 As a child I loved this irreverent work depicting a well-to-do lady shovelling down her dessert. So I was delighted to find its location purely by chance on Instagram. The painting can also be seen in place in this tweet from Tapas Magazine (@taspasmagazine). I’m hoping to make it to Wilton’s soon to see this fantastic picture first-hand.